This Jakks Pacific doll was a Walmart exclusive back in 2013. She's also very special to me because she's the first doll in my adult collection. I remember the butterflies I had before buying her! 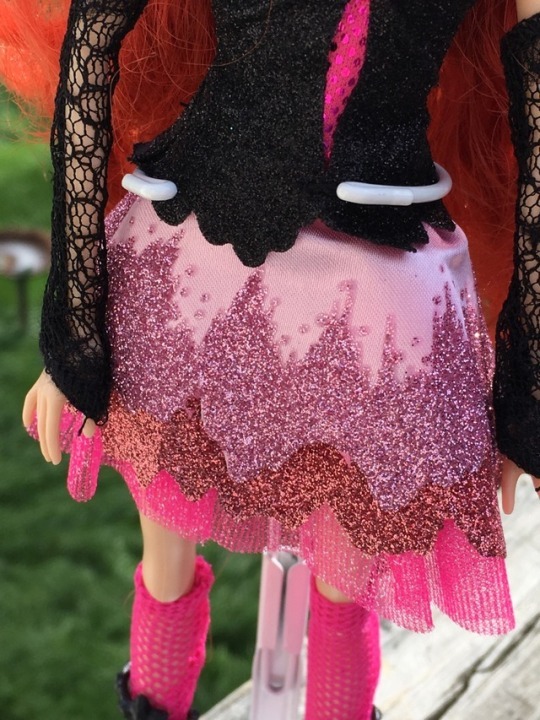 She's not the best quality wise (her hip joints are messed up, and not just from being in storage for awhile), but I love her clothes and color scheme. It's quite unique for the Winx girls. Wings are plastic and inserted through the back (which makes storage easier). They can "flutter." I love her layered skirt! 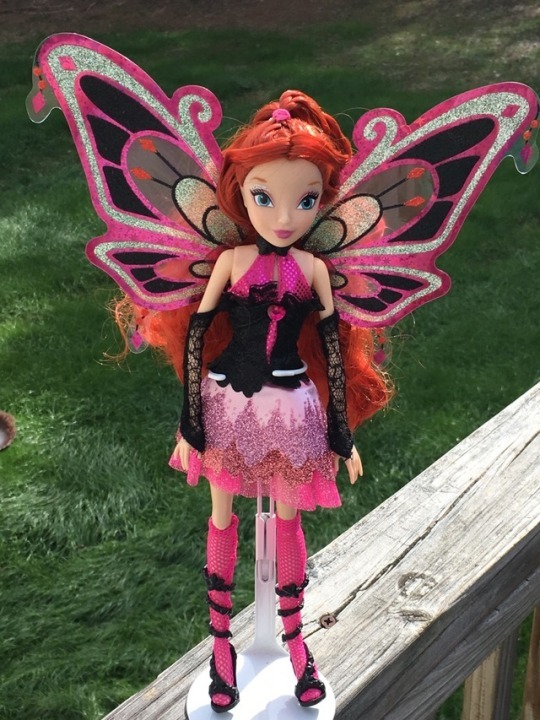 Enchantix Bloom is in the "correct" colors for the fairy form, by the way. 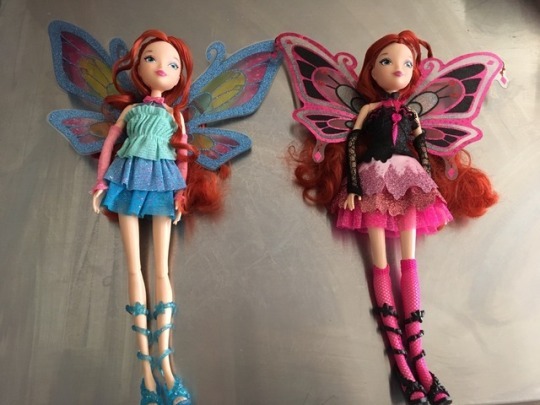 I'm also amused that both Enchantix dolls are different store exclusives. I do not own any Mattel Blooms so I cannot compare them to those. The Mattel Enchantix sure is pretty, though! Ooh! She is very pretty! I've only seen photos of this version online. I never saw the Walmart Exclusive in stores. 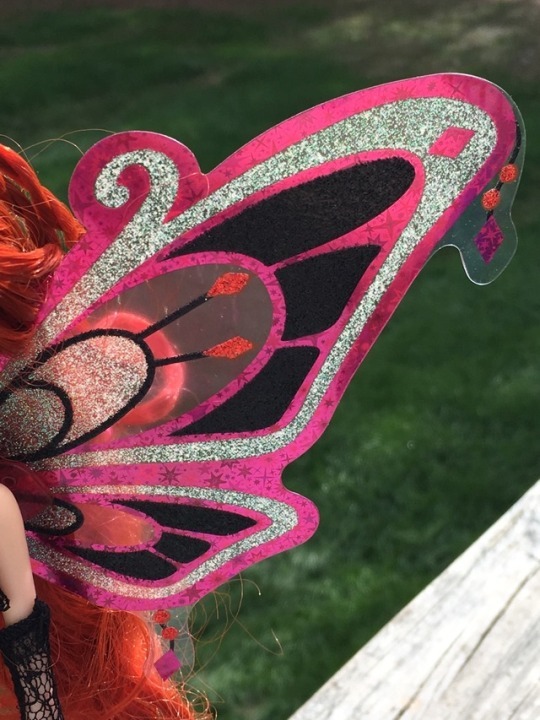 I found the Jakks Pacific Winx Club line very intriguing, but local stores only seemed to stock Believix Bloom and Stella (the blonde one). They were very pretty dolls and the quality was better than many similarly priced dolls at the time. I was surprised that the line did not seem to stick around for very long. I'm glad you have these! Thank you for sharing the photos! I hope to see more of them! She's quite pretty, I'd keep an eye on the dog, though, he was looking rather like she'd make a nice snack. They're both pretty. we have a blue-dressed-in-winter-clothes one, whch I really should liberate from her plastic box (I want the clothes for the Pullips). I find store-exclusive dolls fascinating, do they really sell well enough in one chain / line to warrant it? (02-03-2019, 12:38 PM)davidd Wrote: Ooh! She is very pretty! I've only seen photos of this version online. I never saw the Walmart Exclusive in stores. You're welcome! The Nick dub didn't last too long so the line died with it. Similiar to how the Mattel line died with the 4Kids dub's end. (Winx Club English dubbing history is... complicated, to say the least.) A shame, because a few dolls were cancelled in the process, including 1/3 of the girls for one of the fairy forms. 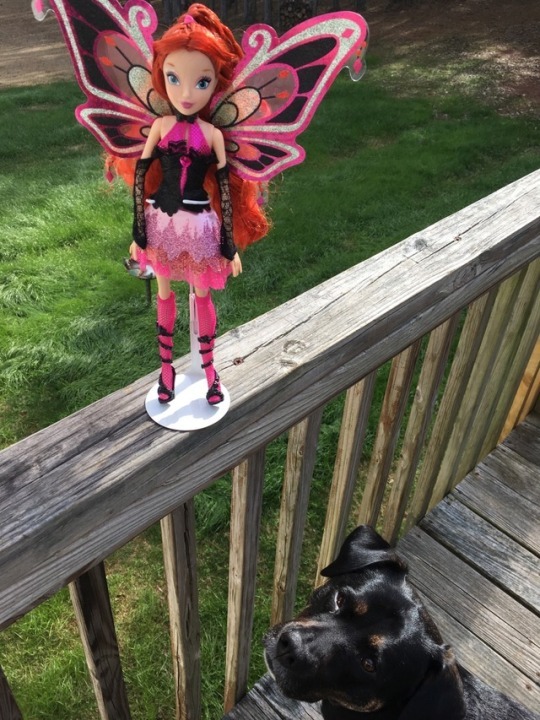 (02-03-2019, 03:08 PM)Elfy Wrote: She's quite pretty, I'd keep an eye on the dog, though, he was looking rather like she'd make a nice snack. My dog mainly just tears apart paper. It's the weirdest thing. I definitely keep my dolls out of her reach just in case. Not risking it. (02-03-2019, 04:35 PM)Lejays17 Wrote: They're both pretty. we have a blue-dressed-in-winter-clothes one, whch I really should liberate from her plastic box (I want the clothes for the Pullips). So Winx Club fits Pullip? I could definitely try with one of my casual girls. I wonder as well. Or maybe it's a license/contract thing? We'll sell it but give us an exclusive too? She’s lovely! 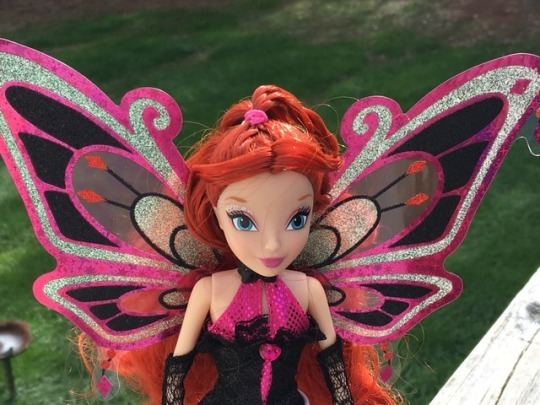 I was never directly interested in Winx, but my first two custom dolls were on Winx club bases because they were a couple of my original characters with angel wings and I liked having the back hole for that.